#UnwrapChristmas with Christmas Cake - A Rose Is A Rose Is A Rose! A few of us gathered together for Secret Santa tidings, divided by names and united through a common Christmas spirit of sharing. And it is in this spirit that we bring this blog chain to you. I am celebrating the spirit of Christmas with the #UnwrapChristmas blogpost chain. The arrival of Christmas is heralded by the smells of exotic spices, nuts and goodies in the oven. Yes, the most joyous and magical time of the year is synonymous with the festive cakes and bakes. I was introduced to Christmas baking as a kid by our Christian friends who used to bake Spiced Gingerbread Loaf and Rum Cake during this time. I remember how their home used to smell of candied peel, dried fruit and whiskey/rum. 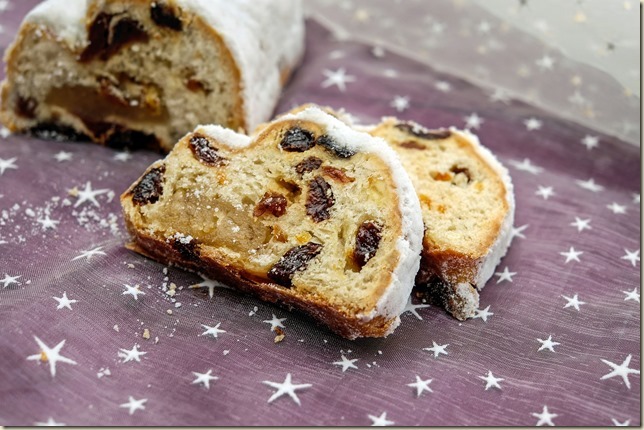 Since, the last couple of years, I have been baking different loafs and cakes for Christmas, so I thought of sharing the recipe of my favourite Christmas Cake with you here. Christmas cakes are usually rum-oozing bakes with fruits and nuts soaked in the liquor for at least a month, but here is a Christmas Cake with rum/whiskey soaking indulgence in a jiffy. 1. Preheat oven to 180°C. Grease 2 (25cm x 8cm) bar pans, line bases with baking paper. 2. Combine raisins, dates and brandy, let them stand for 30 minutes. 3. Place sifted dry ingredients, butter and sugar in food processor, process until combined. Add eggs and condensed milk, process to combine. 4. Fold dry-fruit mixture and dark chocolate chips into cake mixture, spoon mixture into prepared bar pans. Top with combined candied fruits and almonds. Bake for 60 minutes or till the skewer comes out clean. Cool in pan before turning out. 5. Drizzle some glaze over it, I prefer without it though. Go on and enjoy this Christmas cake which is rich and spicy and bursting with boozy fruit. I now invite Esha Mookerjee-Dutta to carry forth the Christmas cheer. Gorgeous! I loved the recipe too. Haven’t tried baking Christmas cake till now. I love the rum cake though. What a lovely recipe Shilpa! The photo is just amazingly mouth-watering too! I made my cake with wine this year but traditional recipe demands rum or brandy. Love and hugs to you this festive season! Merry Christmas, dear Shilpa! I loved the delicious recipe you shared today. Will surely try it out someday, for sure. Much love, and best wishes for this festive season!May the glad tidings be with you and your loved ones today and always. Love the recipe, Shilpa! Looks so delicious I am drooling here. I am going to try it! Merry Christmas to you! Christmas without Christmas Cake is like… NO CHRISTMAS ! Thank you for starting the blog chain with such yum-ness ! Wishing you loads of happiness and peace this festive season! Wishing you loads of festive cheer and a merry Yule Shilpa. Ooh, mouth-watering! Cakes are the best of Christmas ranking almost the same as gifts. Great post! Mmmm…This year we’ve skipped the festivities but I’m so glad to see so much celebration around. I had thought of reading your post right in the morning Shilpa. Some Santas however decided to pay us surprise visit and I got busy unwrapping the gifts they brought for us! 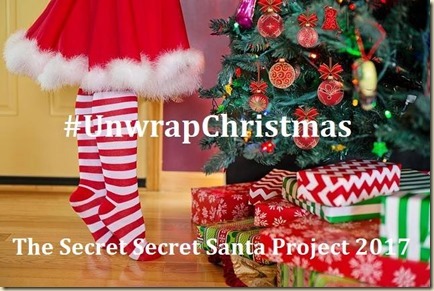 Now that unwrapping is over, I was at the door step of your blog post. The sweet aroma of the cake that you have baked welcomed me. Though I am a very average cook, I am sure going to try this one! Happy Christmas shilpa, glad for this day and its one of my favorite festival and season too… very interesting to read this post, thanks for sharing, have been tasting different flavors of cake the whole day:) thank you for sharing. The cake does look amazing. It makes me wish I could cook. Merry Christmas Shilpa! Thanks for the recipe, it looks easy! Maybe I could make it! The cake looks yummy..I am a reluctant cook but this recipe deserves a shot. Merry Christmas. Anything with rum, becomes my favorite automatically. Looks yummy, Shilpa. Hope you had a nice feast with loved ones. The cake looks yummy! How do I do this without eggs? it looks really yummy. and thanks a lot for sharing this recipe. would definitely try it. Merry Christmas and a very happy new year to you, Shilpa.